A batch of yummy brownies without the oven? Yes! I have a feeling my teenage son would be all over this. 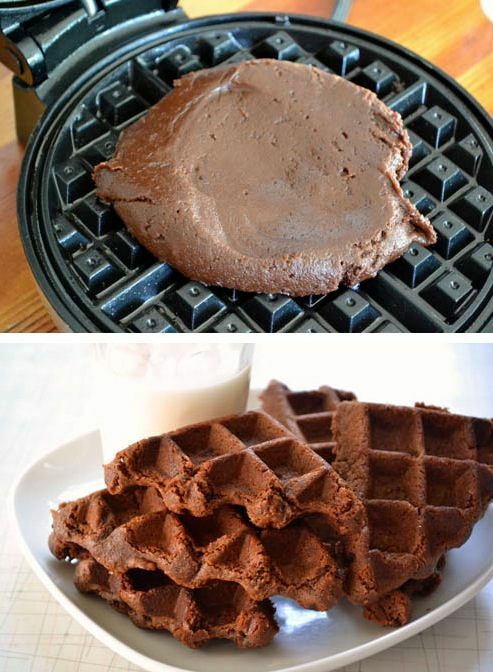 Why not save a little energy (and wasted heat in the summer time) when you can just bake them in your waffle iron? Now, I’ve heard good and bad stories when it comes to brownies in the waffle iron. I would think you’d need a rather dry brownie mix as opposed to a runny batter to get good results. This one may take a little experimenting! 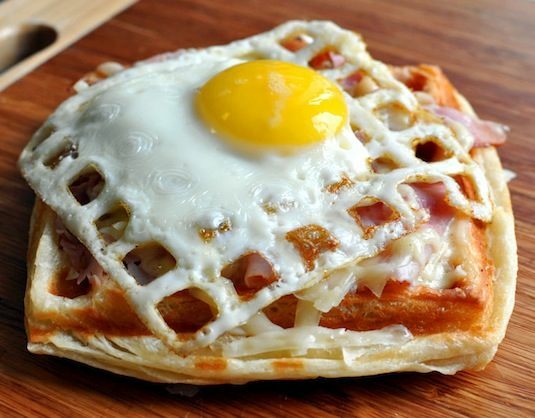 That waffled bun looks amazing, don’t you think? Cooked to a buttery crisp! 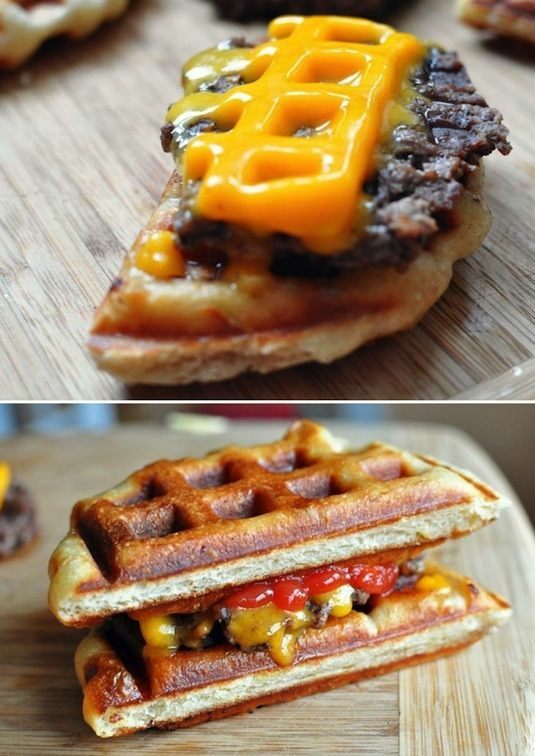 Even the patty was cooked in the waffle iron, with the cheese placed on top for the last few seconds. This could get addicting.